Leading Manufacturer of rotobox bait station and rat bait station from Jaipur. Being known amongst quality oriented firm, we are engaged in trading and supplying a large range of Rotobox Bait Station to the customers. Being an ISO 9001:2008 certified enterprise of this field, we are engaged in providing superior quality Rat Bait Station. The offered bait station is manufactured using superior quality raw materials and highly advanced techniques under the guidance of experienced professionals. 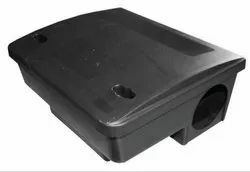 The provided bait station is suitable to be used in various residential as well as commercial premises for ensuring protection against rat and mice. 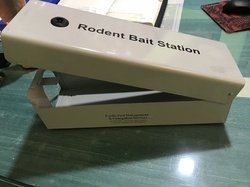 Additionally, our clients can purchase the provided Rat Bait Station in different specifications from us.